Come join us and come together as a community and share the joy of the Gospel. An evening of spiritual encounter and entertainment not to be missed! 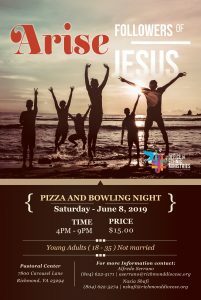 This event is for unmarried young adults ages 18-35.